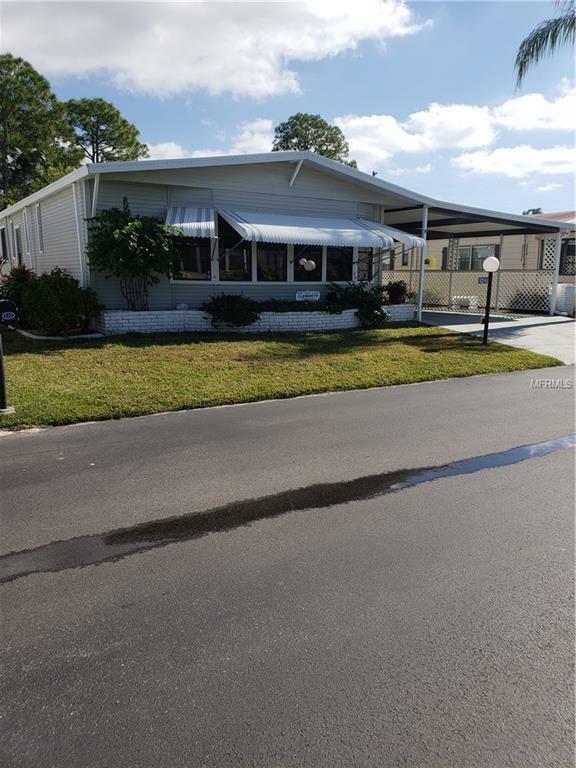 This is a very well maintained home located in 55+ Lazy River Village in the sought after pet section with views of a small pond/lake with fountain. The back yard is beautifully landscaped with natural flora and a covered swing to sit and enjoy the evenings. 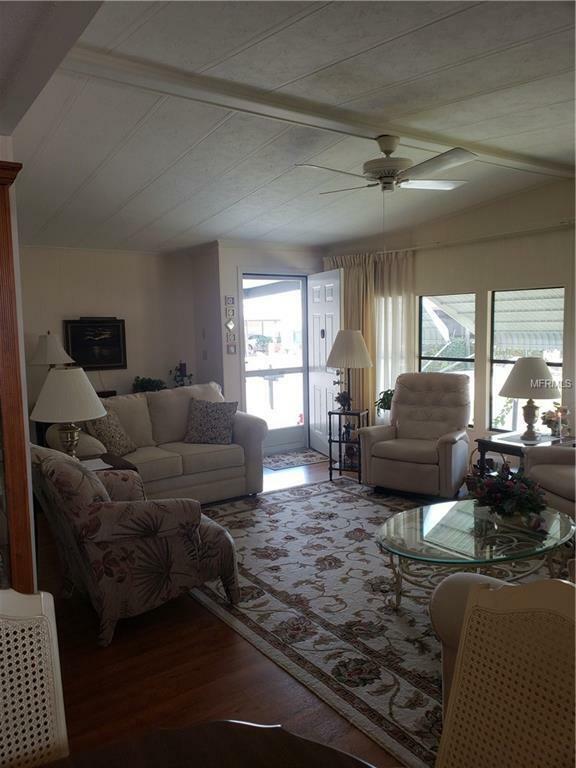 The home offers a formal living room and dining room with additional den just off the kitchen. Custom shelving through out the home, a wet bar for entertaining and even an additional Florida Room. The laundry room is part of the interior but in shed so no concerns for leaks doing any floor damage. All subflooring has been replaced in this home, roof is membrane roof over installed in 2004, air conditioner was installed in 2013. Some additional closet space has been added in the master suite with a walk in closet as well! 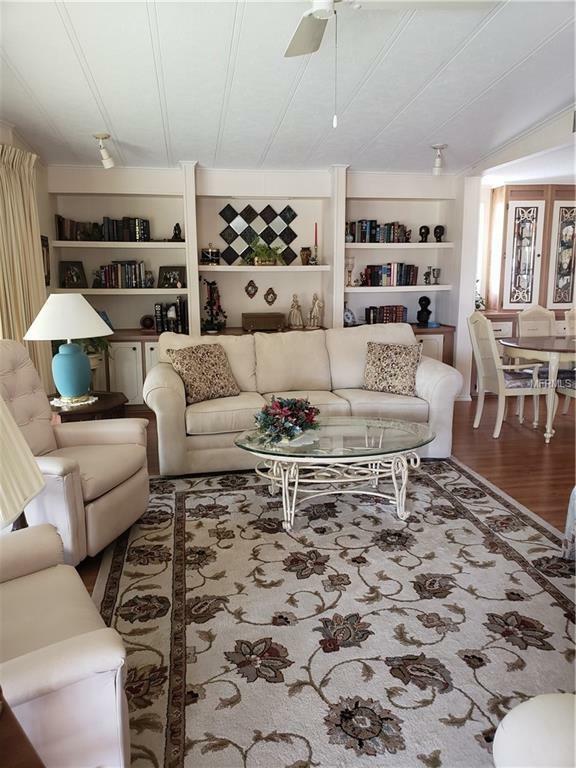 This home is being sold fully furnished and is ready for you to move in today! The golf cart is negotiable. 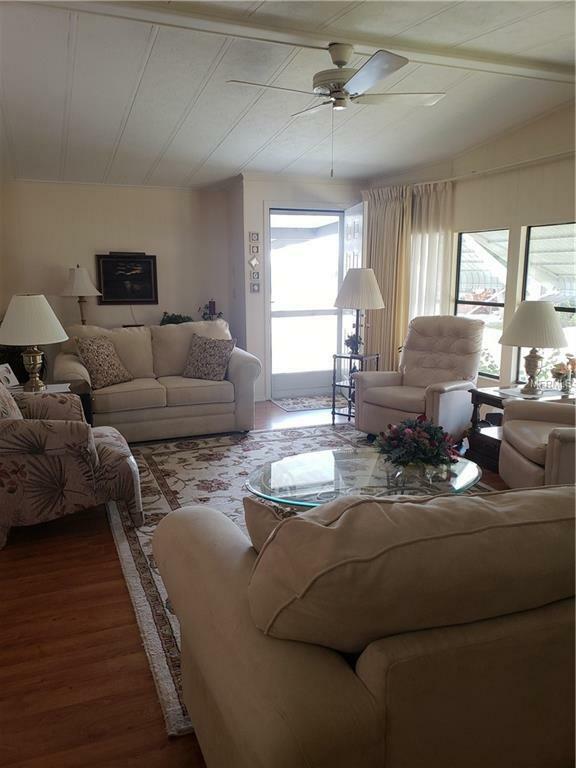 Lazy River Village has gorgeous grounds offering three legs, amenities galore, a small marina with boat ramp and kayak launch and state of the art fitness center.